Motorola today unveiled the successor to the ROKR E1 iTunes Phone. The ROKR E2 packs new software and new features while addressing many of the complaints about the E1. The E2 runs on Motorola's new Linux-Java platform and has a 2" QVGA display, 1.3 MP camera with flash and a full size hot-swappable SD slot and USB 2.0 for fast file transfer. The phone has a 3.5 mm headset jack, full music playback controls on the side and new audio player software that supports MP3, AAC, WMA and Real. There is no iTunes software, nor the 100-song limit of the E1. In addition, the E2 offers an FM radio and Bluetooth with A2DP stereo audio support. Motorola is launching a whole line of Bluetooth headphones to complement the E2 and other new phones. The new ROKR is due out the first half of 2006. 1.3 Megapix or 2.0 Megapix? I just read the report from CES 2006 and it says the E2 has a 2.0 Megapixel camera. But in the previous story it says it has a 1.3 MP camera. So what is it going to have? Well, it has the specs that supposedly make a music phone good: real SD Card support, 3.5mm jack, stereo bluetooth and all the buttons. They even threw a QVGA display in there so that the visuals should look good. If it isn't 3G to enable song downloads then I suppose it's just a iPod Nano substitute, right? If you need 3G, there are rumors of a ROKR E3... which I would guess we'll see announced at 3GSM in February. but can the music player be controled by those new S805 DJ Headphones? What does this mean for the V3i??? Will it still have itunes software, or will it have this new OS and more memory capability? Do you think that they will add the iTunes software to this phone? Is that not the whole point of the Rokr phone? They are coming out with a new Rozr that has iTunes, why would they take it off for this? The Rokr line of phones are specialized for music, not necessarily iTunes. The Razr V3i is not a Rokr phone, yet has iTunes. It is not optimized for music as the Rokr series is supposed to be. Moto says it can hold 70 hours worth of music. Thats means about 4GB of storage built in. Sounds like what the ROKR should have been all along. Screw iTunes if Apple wants to cap it at 100 songs so it doesn't compete with their products. This phone looks good, but I thought the new rule for Motorola was to only announce phones the day before they are released? maybe it will be available in europe very soon? 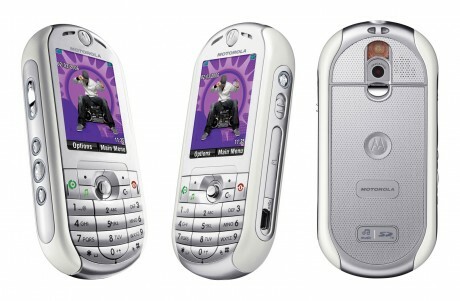 I was curious do you know if its gonne be cingular ot t-mobile that get this phone.